Through public meetings, the community expressed the preference that the new community center reflect the early California Mission style of the nearby high school. This was accomplished through the use of deep window openings, plastered walls, courtyard, tiled roofs and wood trims. The orientation of the largest meeting space is rotated from the main wing to accommodate a large heritage valley oak. The building houses meeting rooms, public lounge, offices, restrooms, kitchenettes, and storage. 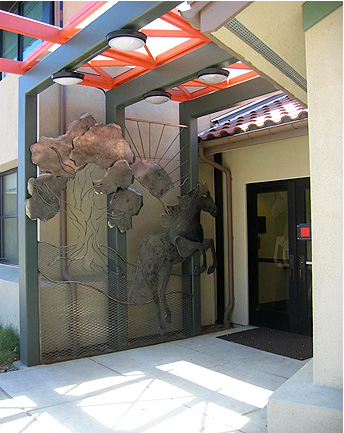 Artwork was commissioned for the project through the Sacramento Metropolitan Arts Commission. The project included ADA and seismic updates to an existing adjacent 7,000 square foot auditorium and meeting facility.